Essilor, the world's largest manufacturer of ophthalmic lenses, has decided to upgrade its existing Coswin 7i maintenance management system (first installed in 2008) to the latest Coswin 8i version and to install the bluebee® mobile solution. The project covers both the Mass Production plant and the Prescription Export Laboratory, located in Shanghai's Songjiang district. Siveco also supports Essilor plants in Brazil, Laos and Thailand. 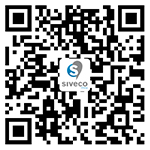 Siveco China, founded in 2004, is the country's largest maintenance consultancy and a pioneer in the development of Maintenance 4.0 technologies, with a focus on mobile solutions "for the worker of tomorrow". Based on a long experience of "maintenance with Chinese characteristics", Siveco has developed a unique approach combining maintenance consulting and software tools. While the Chinese market has historically been plagued by IT suppliers without understanding of industrial reality, Siveco is run by maintenance people for maintenance people, focusing on obtaining rapid and sustainable improvement. Siveco China has over 850 customer sites, including ABB, Alstom, Baosteel Gases, Beijing Environment, Capital Water, Carrefour China, CNEEC, CNOOC, Fushun Mining Group, Engie, Hanwha Chemical, International Paper, New World Development, Saint-Gobain, Shell, Suez, etc. The company boasts a growing export business, working alongside Asian EPC companies in Southeast Asia, the Middle-East and Africa. Siveco China has won multiple awards, most recently prestigious Engineers' Choice Awards by Plant360 in three categories in 2015. Siveco is the only China-based maintenance consultancy to operate outside of China and the only company in Asia to have obtained the ISO9001:2008 certification for maintenance improvement services and CMMS development. Siveco China is a subsidiary of Europe's leading supplier of computerized maintenance management systems (CMMS).